Diana Reese, our CNB Rockdale Branch Manager is a life-long Milam county resident. Born and raised in Rockdale, she has a deeply personal commitment to the community’s prosperity. She began her banking career 33 years ago; the last 28 here with CNB. 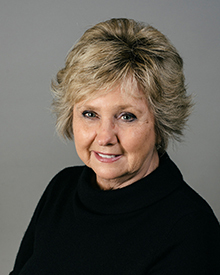 Over that time, Reese had served as Operations and Branch Manager for CNB’s Rockdale branch, with the exception of five years that she served as a Middle Market Lender specializing in agriculture and commercial lending. Reese attended the Texas Bankers Association Lending School and has attended numerous seminars on such subjects as Individual Retirement Accounts, account documentation, insurability, banking operations and management, and more. She believes in creating a warm and inviting atmosphere for customers and employees. Customer service excellence and continuing industry education are top priorities when it comes to her employees, as the best guidance comes from highly knowledgeable experts able to confidently and effectively communicate. From a young age, Reese was inspired by her father’s leadership of various community organizations. She has served as president of the Rockdale Chamber of Commerce, member of the local Lions club, a committee member active in setting up the Rockdale Economic Development Board and was also involved in the Milam Leadership Group. At home, Reese and her husband have three grown children, six grandchildren and seven great grandchildren that keep them busy. They also have a young Rhodesian Ridge Back who their children joke is pretty much an additional child, likely included in their will. Together they enjoy their cattle and anything involving horses.